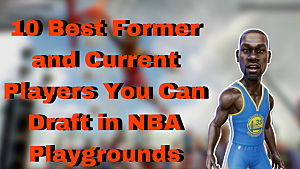 With over 200 current and former basketball players at your fingertips, there are a number of ways to go into NBA Playgrounds and dominate the court. To actually stake your claim in the Hall of Fame, you're going to need to divide your game into a few essential elements every time you play. 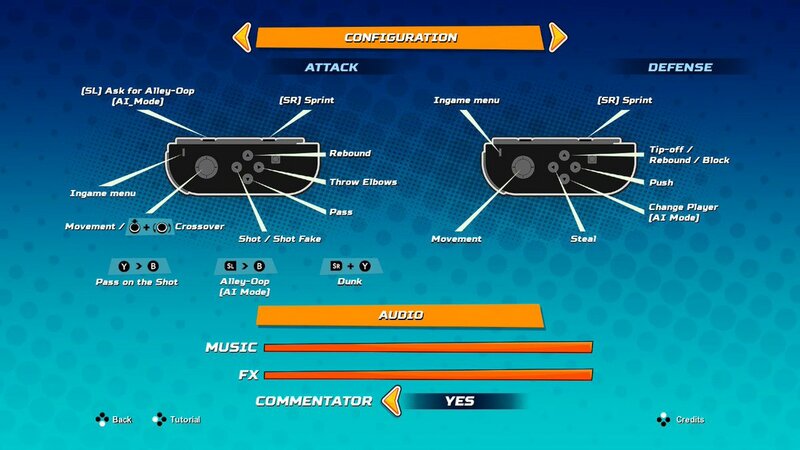 These include scoring points, successful defense, utilizing the special meter, and upgrading your player. Combining these elements will ensure more wins than losses. So what do you need to do with each of the mechanics listed above? Let's take a look. 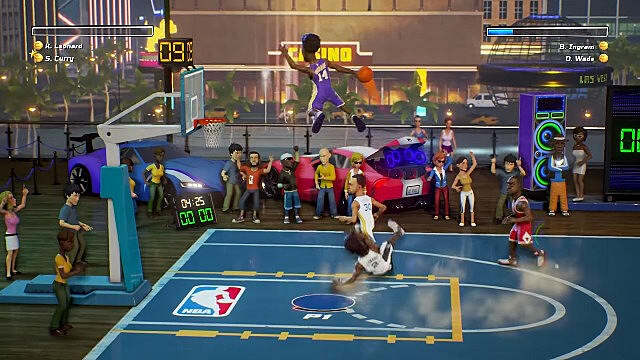 The most essential element in all sports games, NBA Playgrounds follows NBA 2K17 in that the timing the release of your shots is vitally important. And to get that timing just right, you'll need to learn the shooting animations inside and out. At the exact peak of shooting, you have to quickly release the shoot button in order to score. Additional points are rewarded as you get closer to perfection with your shot timing. This is true for layups and dunks, in addition to regular shots within or beyond the three point line. Learning the animations will ensure you can time your releases well and rack up as many points as possible. If you're playing defense, timing your shot blocks is essential -- because no one wants to be poster-ized, and getting dunked on in this game is always in grand fashion. Stealing is half the game in Playgrounds, and angering your opponents is a big part of the fun in this game. When going for the steal however, you'll have to know when to sprint away and when to keep going. This game also has another exclusive feature that allows you to play by street rules -- the push button. This does exactly what it says. When your opponent has the ball, you can just push them down. While a little cheap at times, this move won't become a major crutch while you play, because the special meter reduces with each of the "dirty" tactics you use. So luckily you won't get pushed down every time you get the ball, but you also won't be able to use it freely on your opponent either. So pick the best times to utilize it and maximize your control of the court. 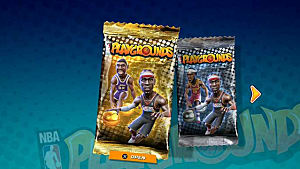 The lottery pick system is the Playgrounds' version of in-game bonuses rewarded during play. 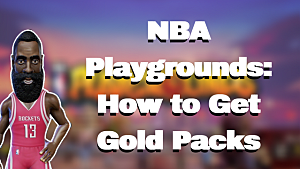 Performing the moves like alley-oops, blocks, steals, and monster dunks will fill up your special meter. Once that special meter is full, your team gets a randomly selected bonus to their shots. This includes things like a guaranteed shot the next time you shoot, or bonus points for every successful offensive or defensive action. The pushing tactic we mentioned earlier comes back to bite you here, as you'll notice the special meter decreasing as your play style becomes more aggressive and dirty. So playing a clean game will get you more bonuses, but effectively playing dirty will rocket a good player into unstoppable greatness. At the end of each match-up, you can upgrade your players of choice to continue using them down the line. If you win your match-up, the game gives you a player card pack that unlocks more players on the massive roster. So when you start your career in this game, it's probably best to find your team and stick with them. Players with leveled XP on a team will outmatch lesser developed teams before the match even begins. Changing teams too frequently will essentially restart your progress and hurt you in the long run. In addition to this, certain players also have signature moves that can give you a certain edge depending on your specific playstyle. So find the team members who vibe best with how you like to approach the game, then level them as much as possible so you can keep slam-dunking on your opponent in every match. 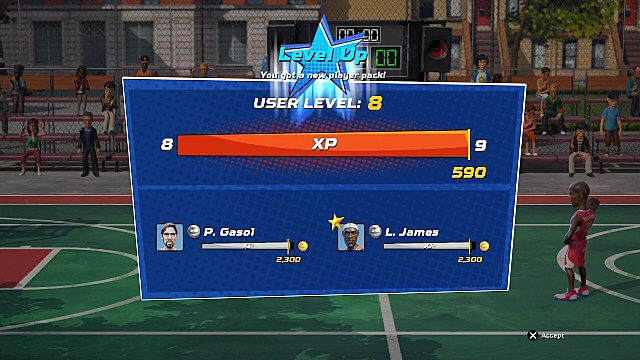 NBA Playgrounds is more intricate than most older arcade basketball games, and it rewards players for skillful gameplay without being too hard to pick up. Follow these tips each time you play, and in no time you'll be dominating the game with your team of choice. 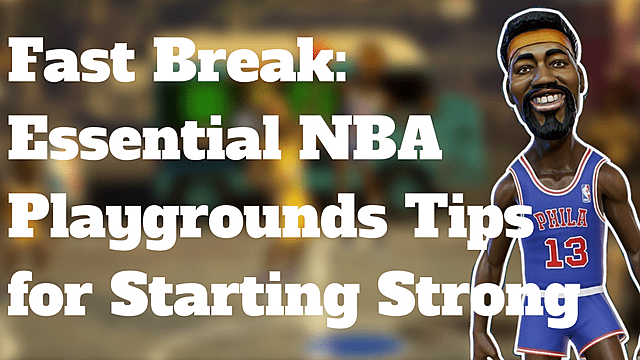 Stay tuned for more tips and tricks in NBA Playgrounds here at GameSkinny!